John Rannenberg was just 26 when he became the resident trainer at Rohara Arabians. Rohara founder Roxann Hart is delighted to point out that Rannenberg won his first National Championship within a year after his arrival at the well-known Florida Arabian breeding and training facility. Twenty years later, Rannenberg is still head trainer at Rohara and his reputation and Rohara’s have kept pace over the years. Their mutual rise to fame in the Arabian horse world has set new standards for quality Arabian horses and professional achievement. Rannenberg is most proud of his ability to achieve success in many different divisions. Rohara has seen National Championships in halter, English and country pleasure, driving, western and hunter pleasure, native costume, saddle seat equitation and park. A breeder since 1987, Rannenberg and Rohara have frequently enjoyed being the breeders, owners and trainers of their noted winners. Rannenberg and the entire staff at Rohara work diligently to get the best from their horses. 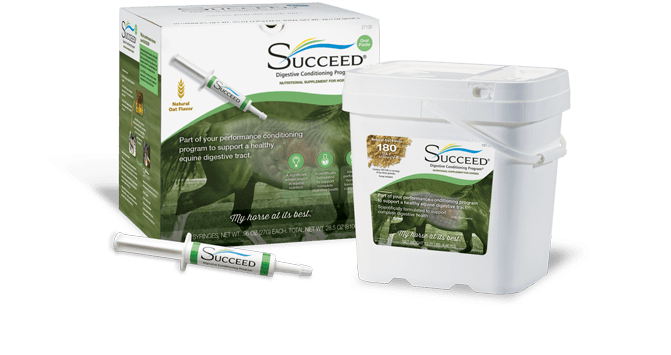 An accomplished judge who has presided over major shows in the U.S. and Australia, Rannenberg understands that the health of every horse in his care is of paramount importance. “I believe that horses need to be comfortable in order to perform at their best,” Rannenberg said. Rannenberg is always on the lookout for ways to help support good health for his horses. 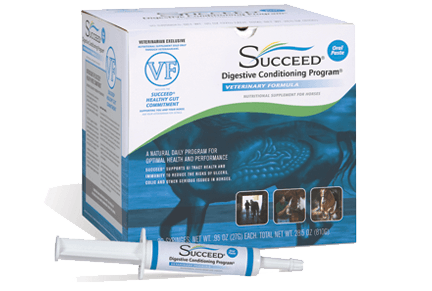 When one of his clients, whose husband is a veterinarian, came to him with the idea to try SUCCEED® Digestive Conditioning Program® from Freedom Health, LLC. Rannenberg decided to be among the first trainers in the country to use the product. Rannenberg also decided to try SUCCEED on one of Rohara’s mightiest champions, the stallion Good Thunder. Rannenberg is sold on the value of SUCCEED for all of his horses. He now keeps his entire show string on the product, making sure they each get their serving every day.